The government's insurance website is faster and easier to use. WASHINGTON -- The government's insurance website is faster and easier to use, but as a third sign-up season gets underway, President Barack Obama's health care law is approaching limits. Enrollment on the federal and state exchanges began Sunday. While the law's expanded coverage has reduced the uninsured rate to a historic low of about 9 percent, the gains will be harder in 2016. Supporters may feel they're running to stay in place, rather than taking a victory lap during the president's last full year in office. Nov. 1 is a key day for hundreds of thousands of people across Illinois. The reasons have to do with the structure of the complicated law, the effects of a major change introduced by the Supreme Court and political divisions likely to be magnified in an election year. The fate of the Affordable Care Act - "Obamacare" to its detractors - is very much in the hands of the next president. A weak sign-up season could embolden opponents who are so far unwilling to relent. The law's two major engines of coverage expansion face challenges simultaneously. Costs are going up on the private, taxpayer-subsidized coverage sold through HealthCare.gov and state insurance exchanges, and many of the more than 10 million eligible uninsured Americans are skeptics. They tend to be younger people on tight budgets, with other priorities for spending their money. A sharp increase in fines may sway at least some fence-sitters. In 2016, the penalty will rise to $695 or 2.5 percent of taxable income, whichever is higher. This year, the fine is the greater of $325 or 2 percent of income. On the law's Medicaid expansion, the other big mechanism driving coverage, the limitations are clearer and perhaps more consequential. The 2012 Supreme Court decision that upheld the law's individual coverage requirement also gave states the choice to decline expanding Medicaid. Across the South, Republican-led states have turned down the Medicaid option, leaving millions uninsured. Many are trapped in what's called the "Medicaid gap." They cannot get health insurance through HealthCare.gov because the law prevents people below the poverty line from using the insurance exchanges. So the private insurance alternative is closed to them, even as their states refuse to expand public coverage. Among them is John Davis of Port Charlotte, Florida, a 49-year-old construction worker unemployed because of health problems. A doctor at a free clinic is monitoring a suspicious spot on his lungs. "They won't biopsy it. Nobody will touch it because I don't have insurance," Davis said. "I feel like I'm walking around with a time bomb on my back and I can't see the timer." In the Dallas-Fort Worth area, there are about 580,000 marketplace-eligible uninsured, the most in the nation, according to government figures. Donald Parish, the pastor of True Lee Missionary Baptist Church in Dallas, uses the pulpit to encourage people to enroll through the marketplace. Many of his parishioners are wary. "It's economic. That you can get affordable health insurance still does not resonate," Parish said. If five southern states - Texas, Florida, Georgia, Louisiana, and North Carolina - were to expand Medicaid, that could potentially add another 2 million people to the coverage rolls. It would amount to a seismic shift, one unlikely in a political year when partisan divisions will be accentuated. "It seems like most of the Deep South is saying, 'We are not doing it,'" said Tom Scully, a lobbyist who served as Medicare chief for former President George W. Bush. Reading the signs, the Obama administration has set a modest sign-up target of about 10 million private insurance customers enrolled and paying their premiums by the end of 2016. Most would be consumers renewing from this year, but one-third or more are expected to be new customers previously uninsured. Part of the challenge for the administration is that the market for individual health insurance policies is volatile. People drop coverage as their circumstances change, for example landing a job that comes with health insurance. Partly because it can be so hard to hang on to customers, the administration and the states have focused on making their websites more consumer friendly this year. 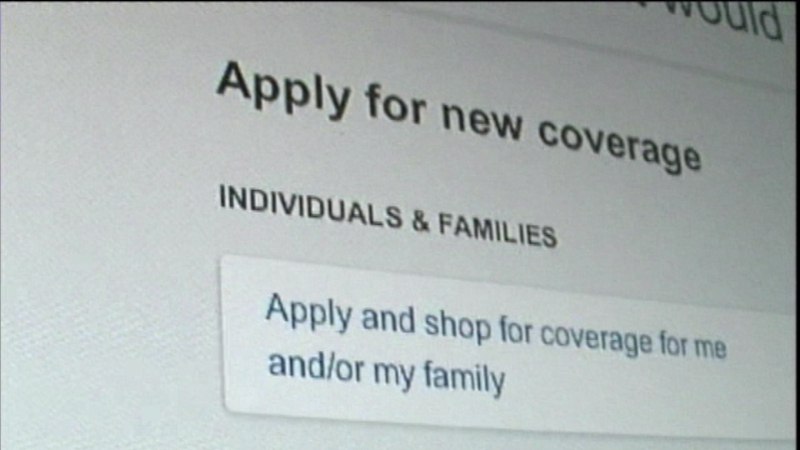 Consumers have until Jan. 31 to sign up for coverage. If they want their coverage to start at the first of the year, they need to apply by Dec. 15. -automatic reminders to enter Social Security numbers and immigration information, critical details that help the government verify eligibility and prevent cancellations months later. -call-center help for customers bedeviled by a maddening glitch that can get them locked out of their accounts. This can happen to people who no longer have access to the email accounts originally used to set up their coverage. -an out-of-pocket expense calculator tailored to different levels of medical use. The feature can help people estimate how their deductibles and copayments will add up to total yearly costs under different health plans. At the same time, there's plenty of unfinished business. Doctor and prescription look-up tools that were supposed to be showcase improvements this year are still in final testing and could turn out to be less than reliable. "We do think that enrollment gains are going to be significantly lower," said Elizabeth Lukanen of the State Health Access Data Assistance Center at the University of Minnesota. "The ramp-up period for (the law's) full effect might extend a couple of more years." Johnson reported from Chicago. Associated Press writer Emily Schmall in Dallas contributed to this report.